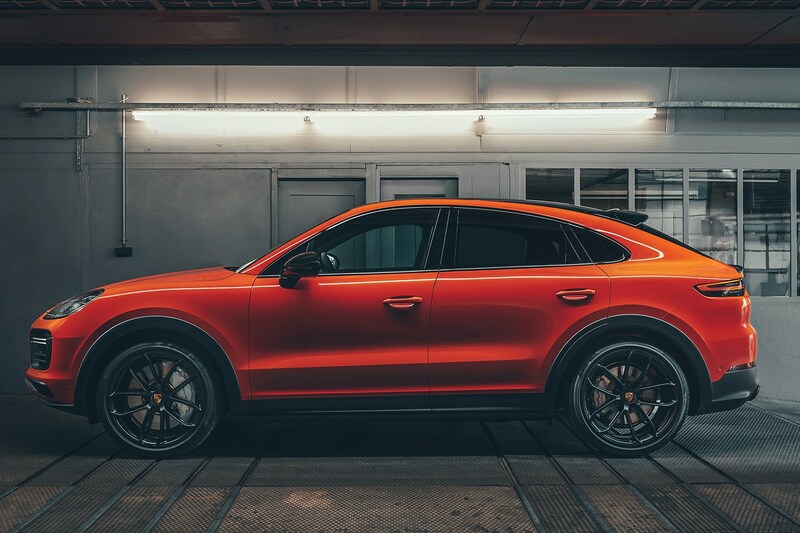 Germany’s most celebrated sports car maker is expanding its range with this, the new Porsche Cayenne Coupe launching in summer 2019. 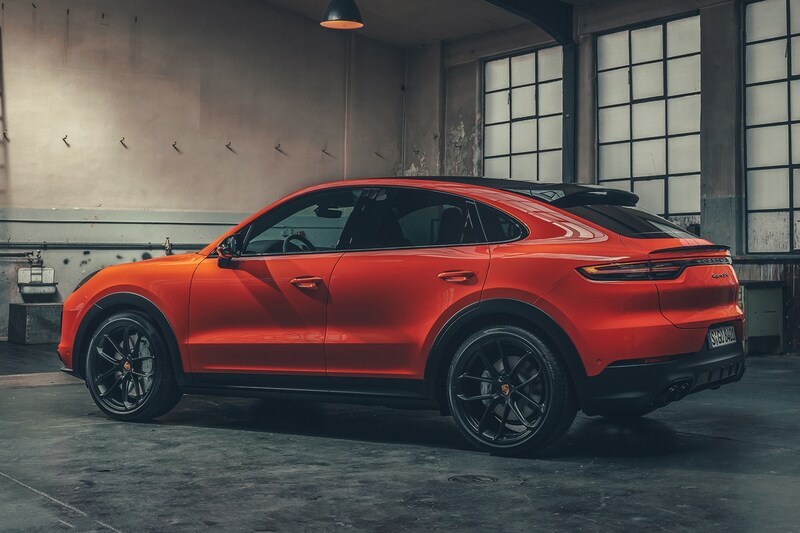 It very much does what it says on the tin – this additional model supplements the regular Cayenne with a sportier, lower-slung coupe derivative to take the fight to the likes of the Audi Q8, BMW X6 and Mercedes-Benz GLE Coupe. The thinking behind these more sporting SUVs with a twist of coupe flavouring is to create something to stand out from the crowd. Crossovers and 4x4s have become so popular in the UK that manufacturers are now trying hard to create spin-offs with some extra sizzle and wow factor. Hence blending the all-wheel drive running gear and raised driving position of an SUV with a top hat that’s a bit more athletic. That plunging roofline takes a modest toll on interior space. Parkers has sat in the rear seats at an exclusive preview event in Stuttgart and can confirm that there is less head room in the back seats than in the regular Cayenne – but it’s not too bad and even tall adults can get comfortable back there (the twin individual rear seats are set 30mm lower to compensate for the dropped roofline). There are, however, only two fixed bucket seats in the back row, in place of the usual three-abreast layout. It’s a more sporting arrangement and if you only have two children and are happy to sacrifice the fifth pew, it’s no bad thing. 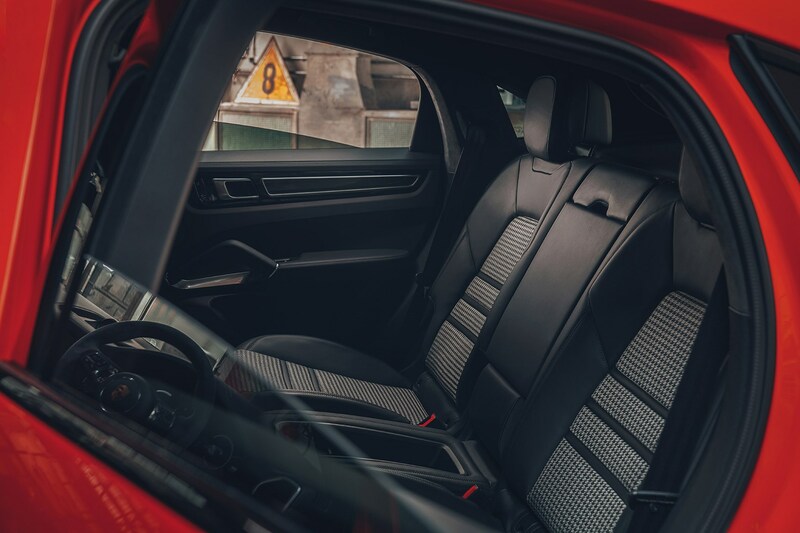 But if you really value space and roominess over posing, we’d recommend you order the no-cost option of a standard rear bench or stick with the regular Porsche Cayenne bodystyle. Buyers can spec one of two roof options on the Cayenne Coupe: a panoramic glass sunroof (it’s fixed and doesn’t open, but does bathe the interior in light) or an optional carbonfibre roof that’s claimed to lower the centre of gravity and save vital kilogrammes from the kerbweight, to benefit performance, handling and fuel economy. Make no mistake, the lower-slung coupe bodystyle is an extremely rapid all-wheel drive machine. 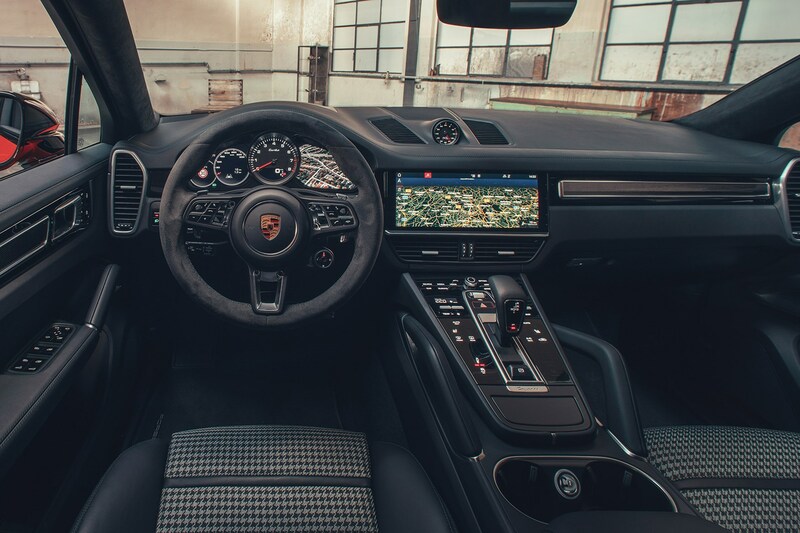 There’s the usual slew of on-board technology, including the latest brilliant Porsche touchscreens and connectivity features to sync your mobile phone and digital life to your car. 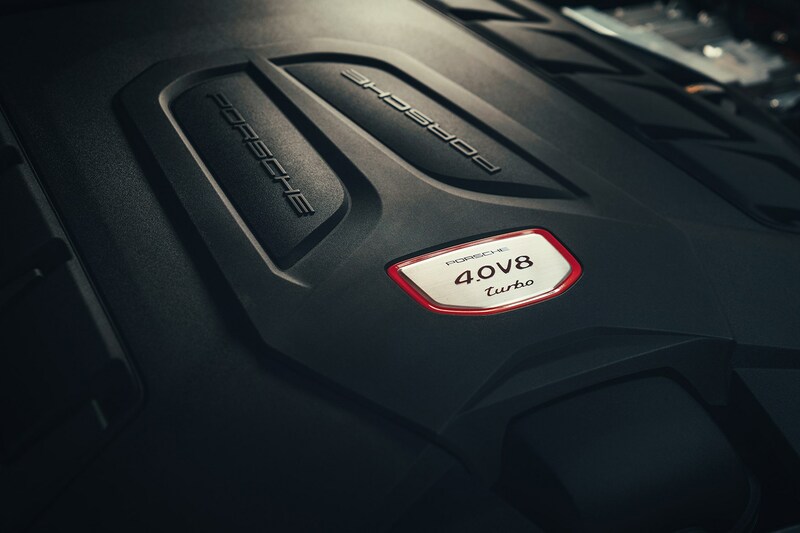 Boot space on the Porsche Cayenne Coupe stands at 625 litres with the rear sets in place, rising to 1,540 litres if you flop the seatbacks down. That’s an impressive loadbay and a reminder that even the sportier Cayenne is a surprisingly practical everyday proposition. 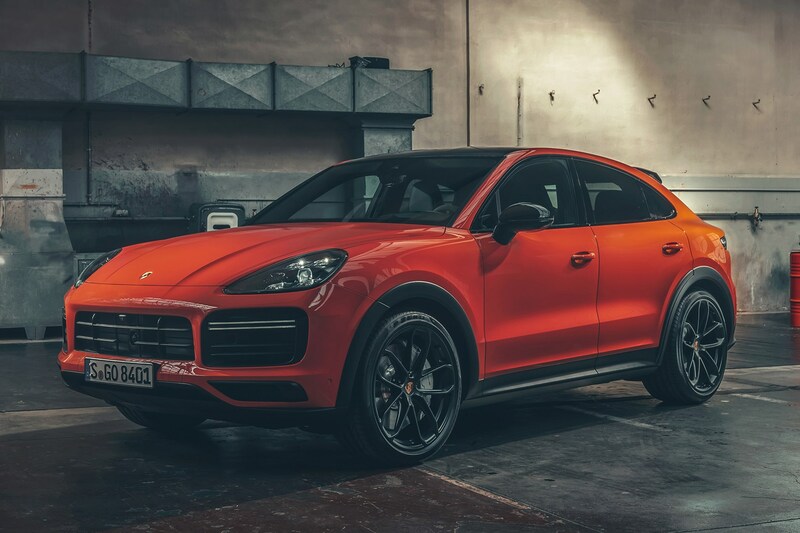 How much does the Porsche Cayenne Coupe cost? This fancy new wardrobe, with its gracefully arcing roofline and more sporting vibe, comes at a price. 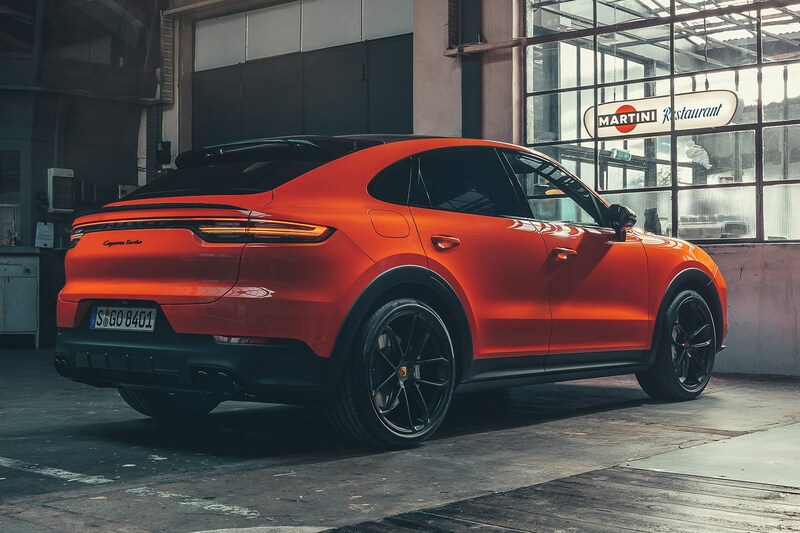 The cheapest Cayenne Coupe will cost £62,129 when UK deliveries begin in summer 2019; the only other model available at launch is the Cayenne Turbo Coupe, at a rather punchier £104,729. That means a premium of at least £5,000 over a normal Cayenne. Such is the cost of standing out from your peers. 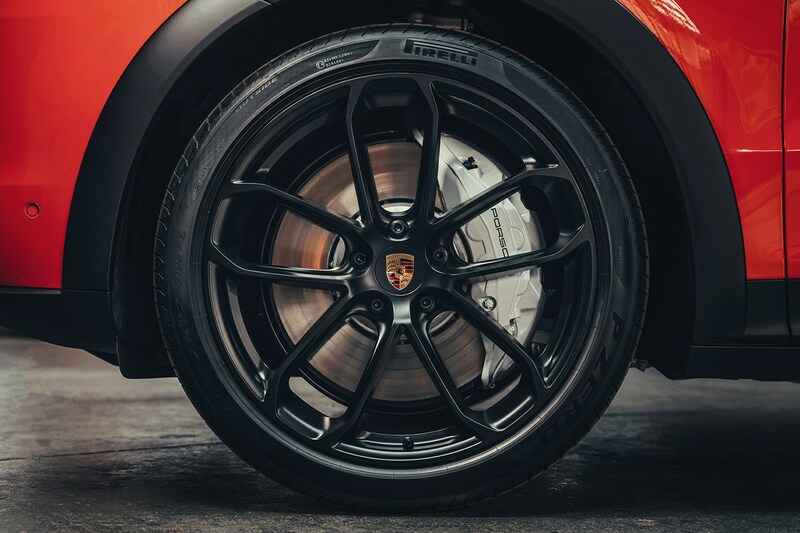 At least those toppy prices include a driving day at the Porsche Experience Centre in Silverstone, Northamptonshire, where you can test your high-performance SUV on track with expert tuition to see what it can really do. 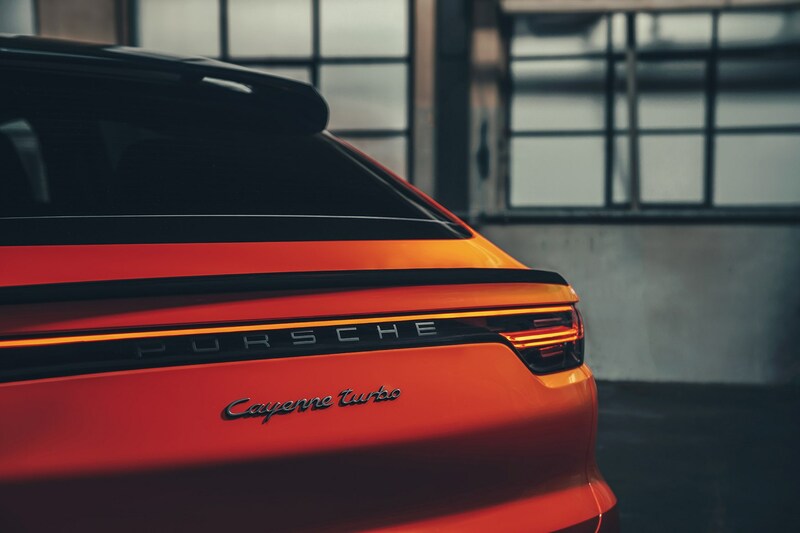 You can order one of the new Cayenne Coupes now and the first customer cars will arrive at UK dealerships in late May 2019. Should you wait for a Porsche Cayenne Coupe? 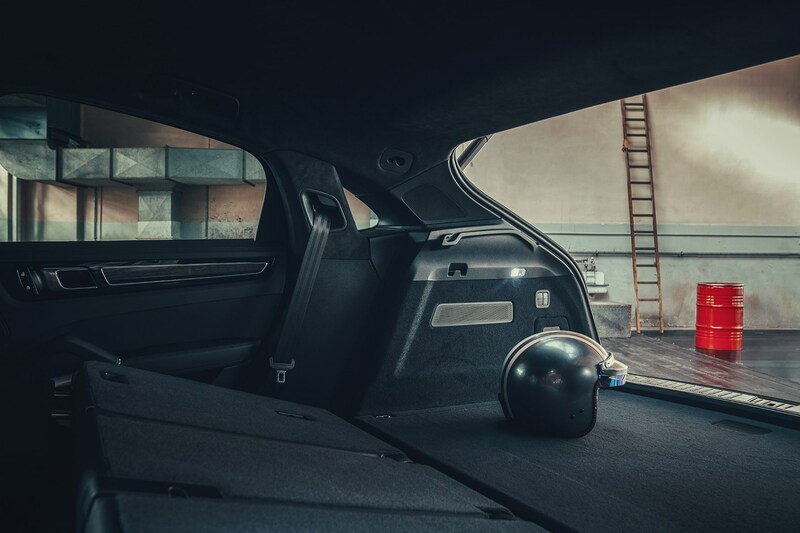 This car feels robust and of a very high quality. We have yet to test it, but will update this Porsche Cayenne Coupe preview with a full review in the coming weeks once we’ve driven it. But going off the way this car looks and feels, it's clearly going to be an interesting addition to the ranks of the high-performance SUV. Given's Porsche's previous form in this area, it's pretty much a done deal that it'll be an absolute delight to drive and own.